An Aladdin Company home as featured in an annual catalog. The Aladdin Company archives were made accessible through an NEH grant. Image courtesy of the Clarke Historical Library at Central Michigan University. 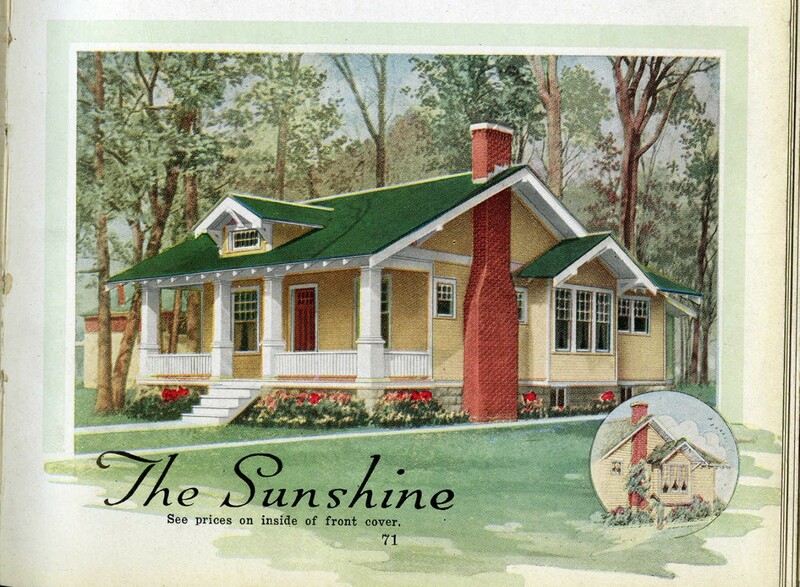 One of the most prominent manufacturers of mail-order houses in the United States, the Aladdin Company sold more than 70,000 kit houses between 1906 and 1982, when the business closed and its records went missing. In 1996, the records were found in an abandoned warehouse and donated to the Clarke Historical Library at Central Michigan University. The records—seven truckloads of them—were in substantial disorder when they arrived at the library. Recognizing that this collection would have a wide audience, the library sought funding from the NEH to arrange and describe the documents, which is the first, labor intensive-step required to make archival records accessible to the public. An Aladdin Company Catalog c. 1931. Image courtesy of the Clarke Historical Library at Central Michigan University. 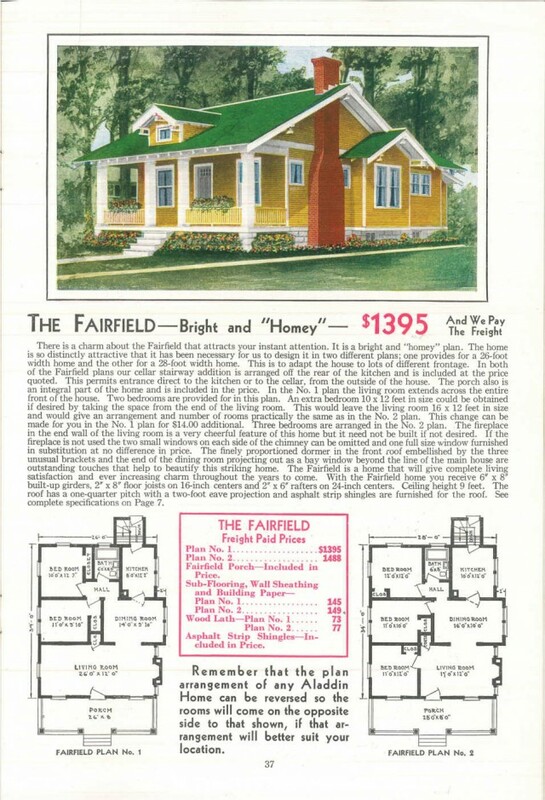 A home featured in the 1931 Aladdin Company Catalog. Image courtesy of the Clarke Historical Library at Central Michigan University. In arranging and describing the collection, archivists at the Clarke Historical Library found that, though disorganized, the records were mostly complete, containing decades worth of sales documents, a complete set of the company’s annual catalogs, and more than 15,000 drawings. The Aladdin Company didn’t make show houses: it produced the kinds of houses that were purchased by middle-class families. As a result, the collection provides valuable insight into the history of American domestic life for sociologists and historians who study the American family. The records also make it possible to identify Aladdin houses, making them of interest to historical societies and homeowners across the nation. Thirty years after acquiring the collection library archivists still field several questions a month from people tracking down their house’s provenance. 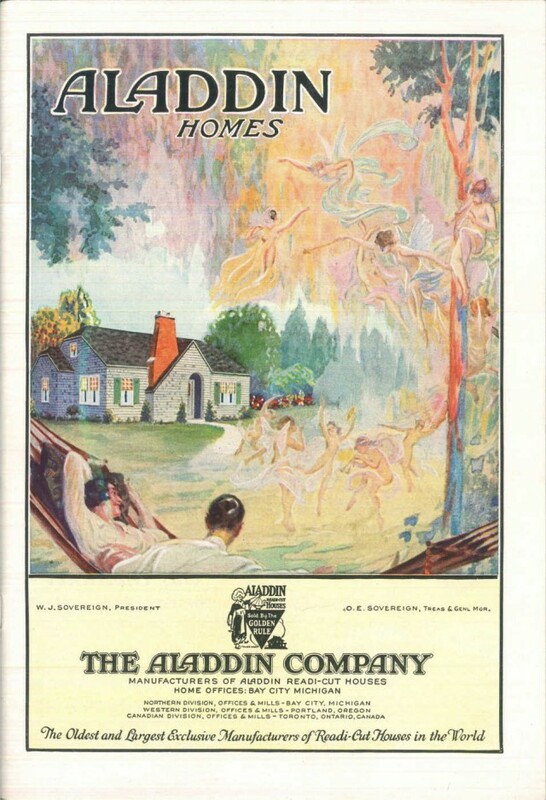 Because of the collection’s popularity, the library has digitized most of the Aladdin Company’s annual catalogs, making them available online. 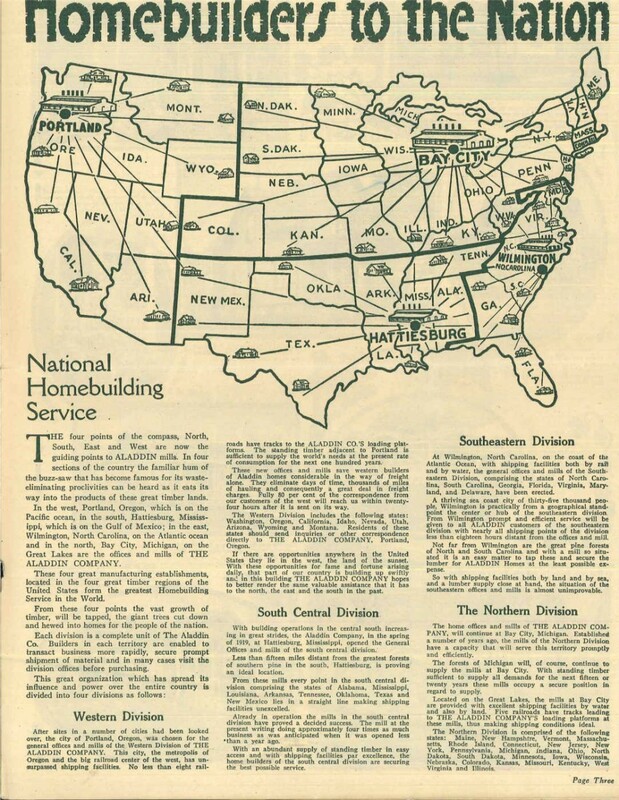 Aladdin homes were shipped to all regions of the continental United States and the company records remain valuable to homeowners and historical societies. Image courtesy of the Clarke Historical Library at Central Michigan University.